At its peak, USA Today was America’s No. 1 newspaper with a staggering 6.6 million daily readers in the early 1990s. Its middlebrow approach was pooh-poohed by the coastal elites, but that attitude left a gaping hole for a newspaper with splashy charts and tons of color to become a dominant force for a couple decades. 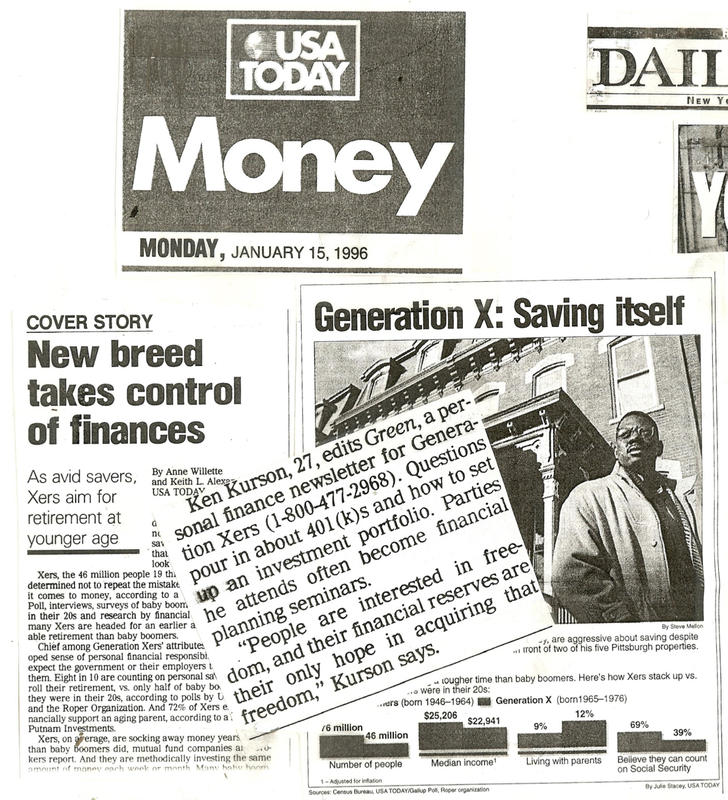 In early 1996, USA Today ran a wrap-up not so much about Green but about Generation X and money. But the two small paragraphs that were about Green included the critical 10 characters that made the cash register ring: 800-477-2968. Bingo.